Are you a fast-paced businessperson, an active outdoor enthusiast, a creative person, a retired senior or a student? Eyewear is an important part in everyone’s life, be it for vision or for style. Eyeglasses are generally associated with the nerdy look, but in fact they are also a great style statement and fashion accessory, as well as means to correct vision and protect eyes. People generally recognize you by your face, the eyeglasses you choose to wear are a very real part of your identity. Whether you want to appear sophisticated, fun-loving, youthful, conservative or style- conscious, the right eyewear can help to shape how you are perceived. 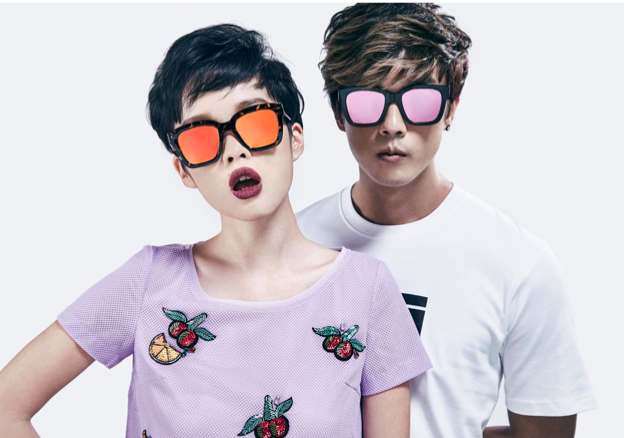 Kaca-Kaca eyewear starts from RM49 to RM138, while the prescription lenses range from RM60 to RM290. All come with a complimentary foldable eyewear case and a piece of micro-fibre lens cloth. There are two major types of optical lenses: Anti-Reflective Lens and Blue Coat Lens, with standard and thinner option to choose from. Each and every purchase order is reviewed by a lens specialist to ensure that the selection is perfect. Towards the higher end of the range are also frames manufactured using TR90, a superior thermoplastic material which is incredibly durable, flexible and lightweight. These frames can bend under pressure, which makes them more resilient to damage. A good pair of frames should contour the face nicely while also conveying personality. It’s about finding the perfect harmony between the silhouette, the lines, and the colors. Of course, they must also be functional, UV rays blocking, eliminate sun glare, offer accurate color perception and reduce eye fatigue.